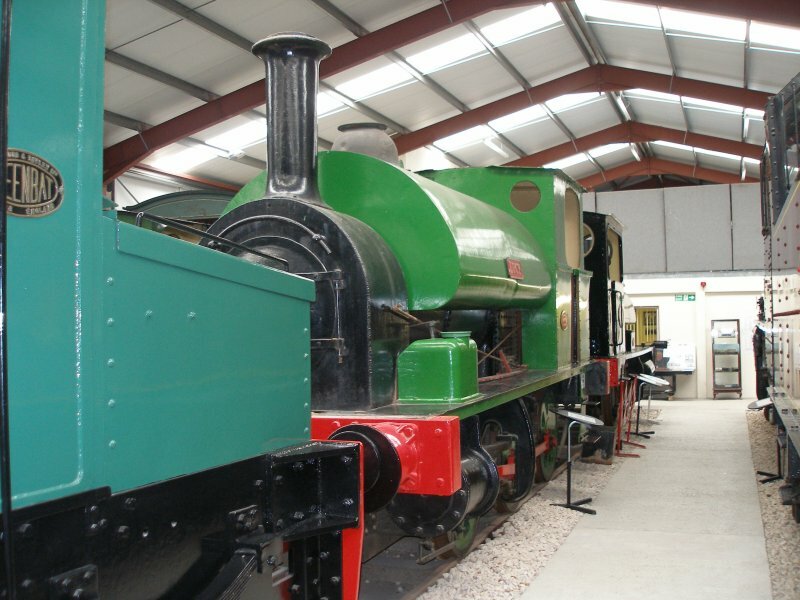 It is difficult to realise when driving into the Ribble Steam Centre for the first time that there might be a connection with the old Steamport Southport museum. 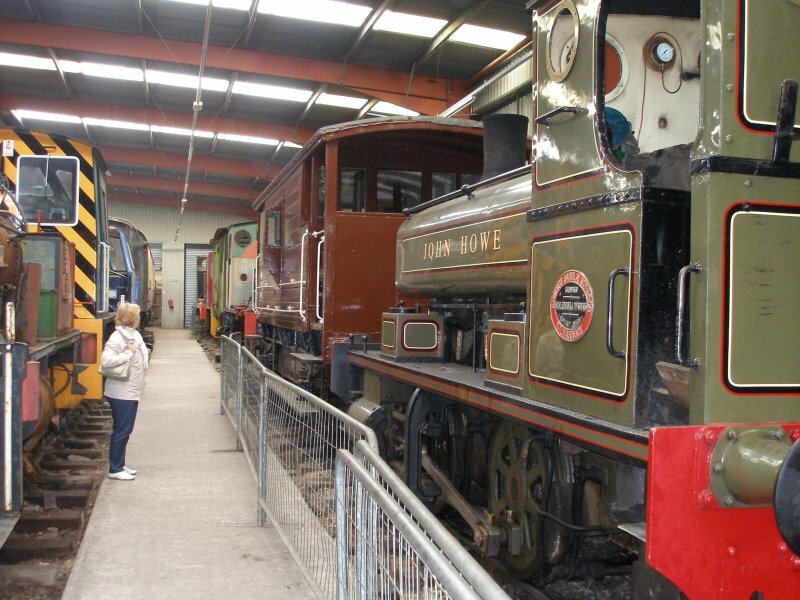 Gone is the old, leaky ex-Motive Power Depot to be replaced by two modern buildings: one to house the museum collection and the other a fully equipped workshop. But there are some clues: lurking in the Museum are some very old friends. 'Walkden' raising steam...the immediate foreground could do with tidying up, as this was my 'first impression'. 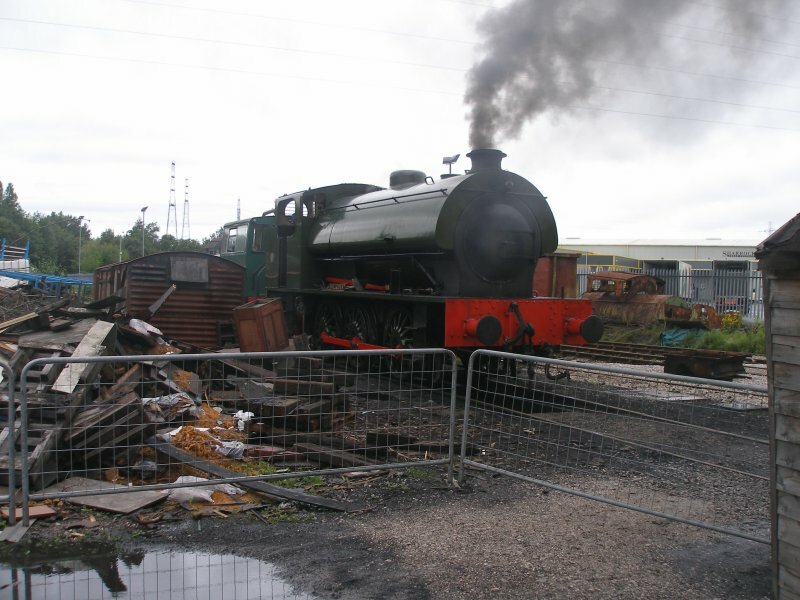 This is Avonside 'Lucy', owned by the Liverpool Locomotive Preservation Society. 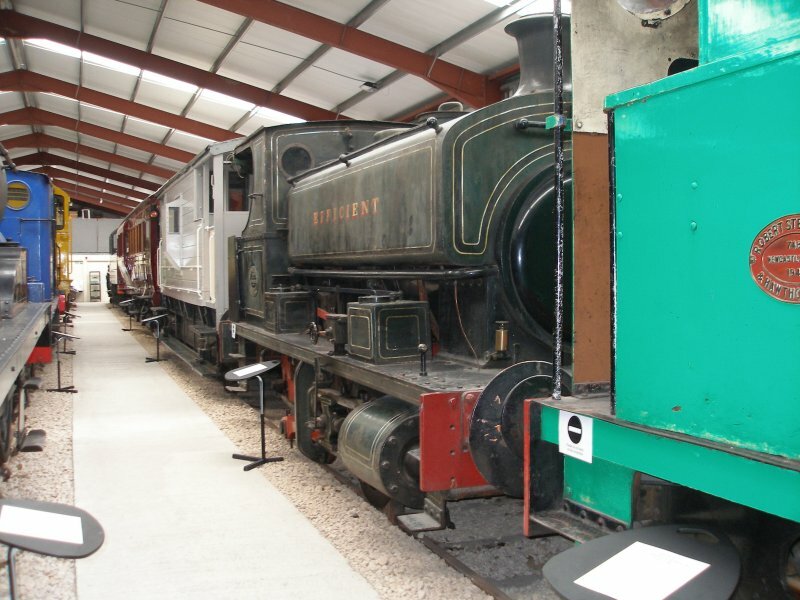 The arrival of 'Lucy' and 'Efficient' from Birkenhead was a huge fillip for the early preservationists, as in 'Efficient' Steamport has its first WORKING steam locomotive. 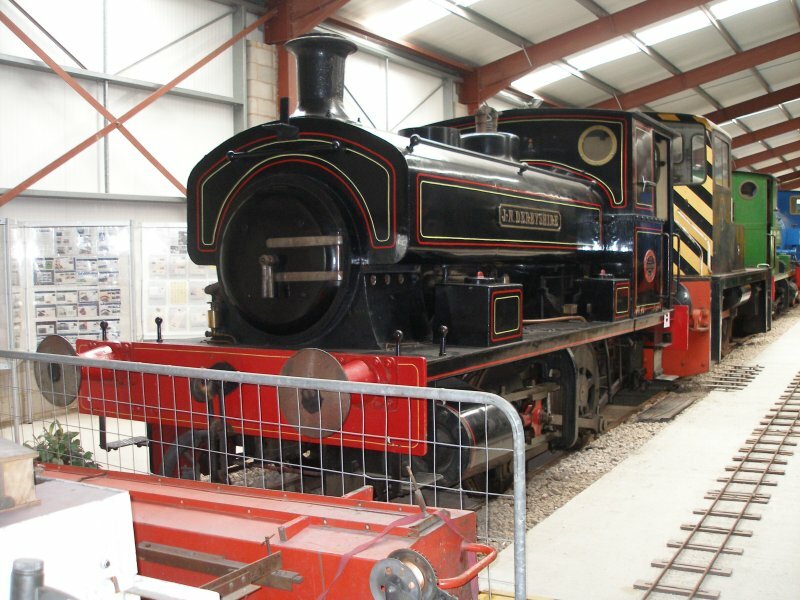 'Efficient' was nearly out of ticket, and 'Lucy's' restoration was nearly complete, so 'Lucy' then became Steamport's only working steam locomotive. 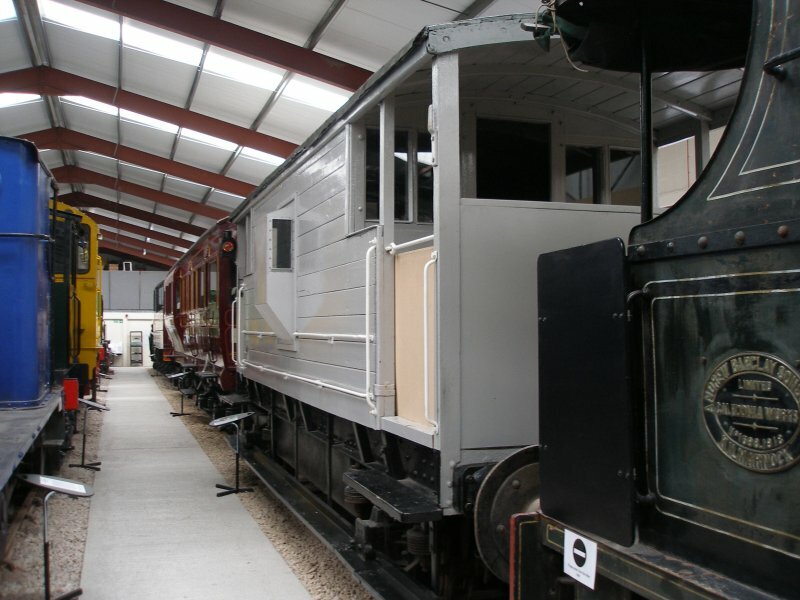 The two LMS Brake Vans were the first pieces of rolling stock one could ride in! So with steam loco and van, the organisation was in business. When 'Efficient' first arrived at Steamport she looked very smart in her fully lined out livery. Sadly the years haven't been kind to 'Efficient' although the smokebox has benefited from a coat of gloss black. 1896-built L&YR number 1300 (later LMS 12322 and BR 52322) arrived at Ribble Steam Railway in mid-December 2009. 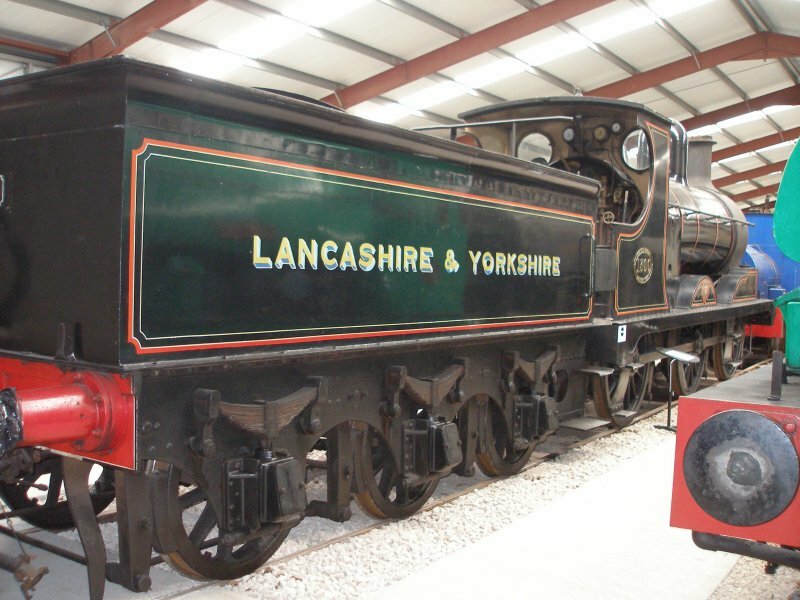 The Lancashire and Yorkshire Railway (L&YR) Class 27 is a class of 0-6-0 steam locomotive designed for freight work. 'J N Derbyshire' was built at the Caledonia works of Andrew Barclay & Sons in Kilmarnock. 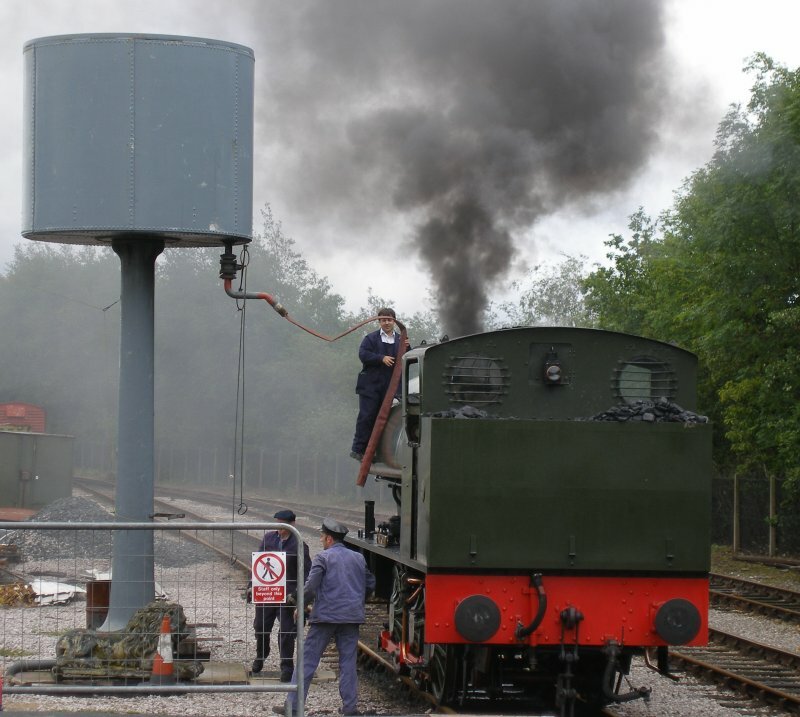 It is a Barclay saddle tank with 12" cylinders. The loco was purchased by the Carlisle Plaster & Cement Company (now British Gypsum) and worked at their Cocklakes Works, near Cumwhinton. Built by the Yorkshire Engine Company to works number 2677 in 1960. 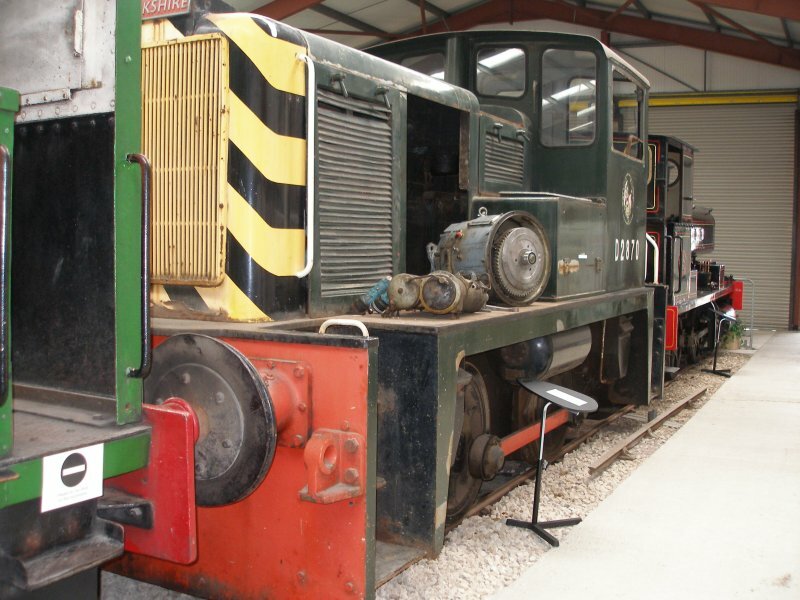 Formerly numbered DH1, it used to work at the St Helens glass works of Pilkington Brothers Ltd, who generously donated the locomotive in November 1982. 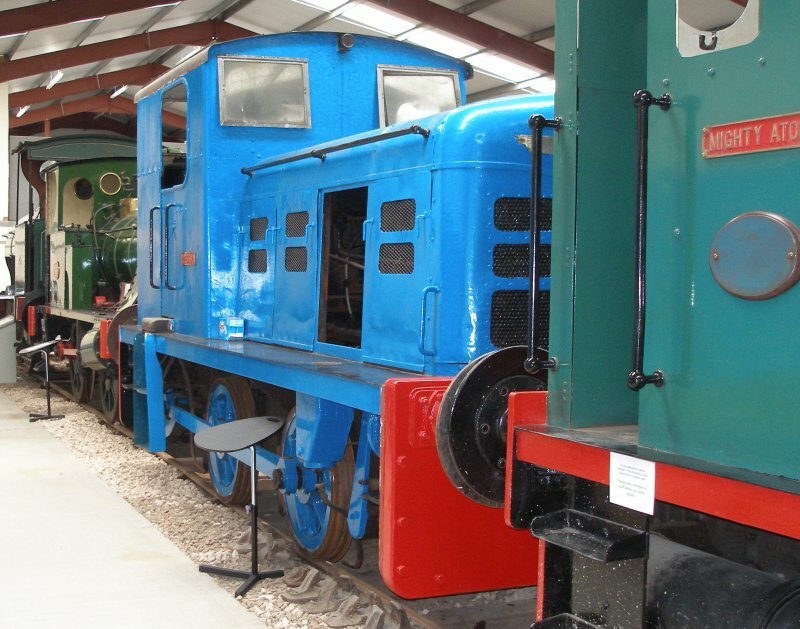 The diesel is similar to the now defunct BR Class 02, except for not having vacuum brake equipment and other minor details. It has thus been restored in BR livery as D2870, the next one in the series. This is 'Persil', and as its name suggests, it was kindly donated by Unilevers. This was the first item of motive power to arrive at Southport and it was initially parked in the siding in Derby Road goods yard against the Steamport boundary wall. One of the first jobs was to lift off the coupling rods that had been stowed on the footplating. This was dropped on my foot, and consequently I spent a few weeks hobbling around waiting for a new toenail to grow. You might think the subject of this snap is 'John Howe' but actually it is the second LMS brake van that is the item of interest. 'Walkden' ready for departure from Preston Riverside station at the Ribble Steam Centre. 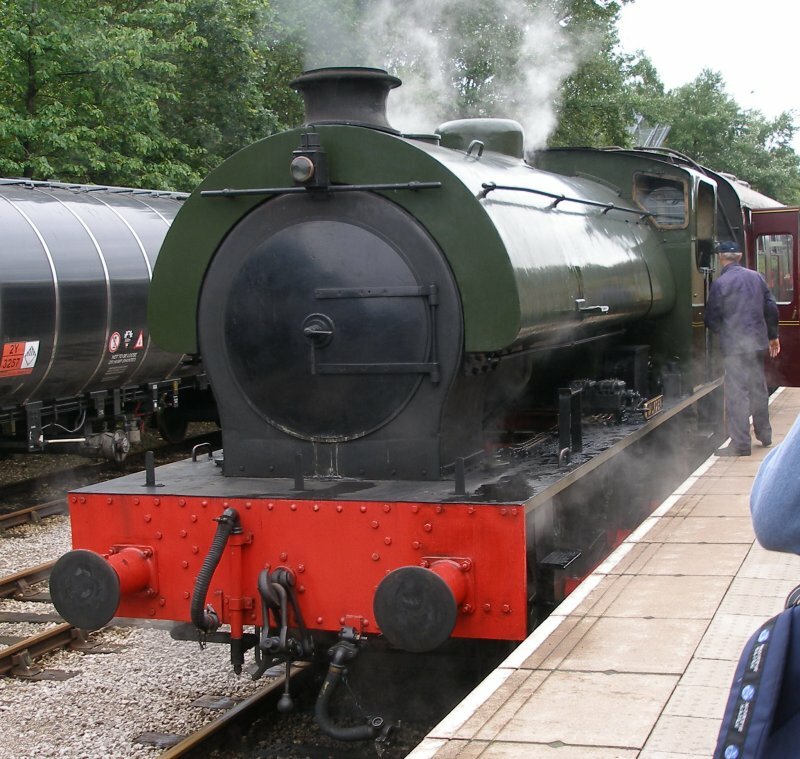 Note the train of empty oil tanks behind the loco, which will return east via Copy Pit and Hall Royd Junction.